March Mad Robins dance with Pete's Posse! Our March dance features incredible local intergenerational band Pete's Posse. 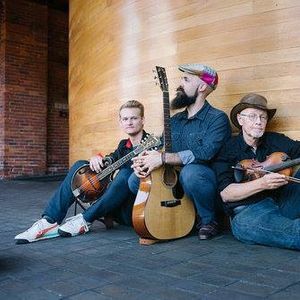 Pete Sutherland, Tristan Henderson and Oliver Scanlon will take the stage by storm, serving up wonderful and wacky tunes and generally making it impossible to keep still. We'll feature a mix of Mad Robin callers, including Alice Smolinsky, Dana Dwinell-Yardley, Richard Hopkins and Luke Donforth. Everyone is welcome! All dances are taught, and you can come alone or with a friend. Please bring clean soft soled shoes, a water bottle, and $5-12 admission. We also invite you to bring a treat for our dessert potluck at the break. In an effort to be more inclusive, Mad Robin Callers will be using gender neutral language for teaching and calling dances during our dances in February, March and April. It'll be the same great music, dancing and community, and will be more welcoming to a wider variety of dancers. HELP! We're in need of some extra volunteers to help sit at the door on Friday. If you're willing to do a shift (welcome dancers, make change, tell people where they can leave their boots), please write to reply to this email and let us know. We'd be glad to let you in to the dance in exchange for half an hour's volunteer work. The UVM Contradance Club is running a clothing swap this semester to raise funds for a dance on campus. Bring clothes to swap, or a few bucks to buy something. March Mad Robins dance with Petes Posse!